If you're stuck in an area that's not served by an existing broadband source, your options for hopping on the world wide web at a rate hastier than 56Kbps are limited. Severely limited. 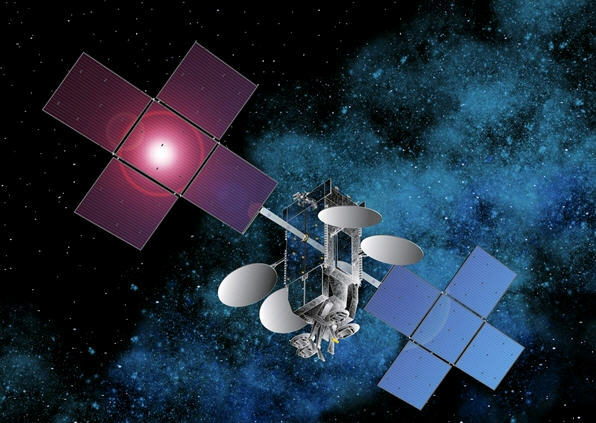 The go-to alternative for the past few years has been HughesNet, a satellite-based "broadband" service that offers users 2Mbps down / 300Kbps up for a staggering $120 per month. It's definitely a last resort, and many satellite gamers have kvetched that triple-digit ping times have all but destroyed their yearning to catch a round of Counter-Strike before hitting the sack. If all goes well, however, this entire situation could be up-ended by 2012. Hughes just landed the financing it needs to launch a $400 million Jupiter satellite into orbit, theoretically giving it over 100 Gigabits per second of capacity and enabling it to seriously expand its customer base. Once launched, consumers could be offered download rates as high as 20Mbps, and while that's far from impressive, it's definitely a step-up for those positioned in bandwidth-starved locales. Until then, it looks like you'll still need to Photoshop your speed tests to convince yourself you're really on a high-speed connection. Jupiter™, Hughes’ next generation, Ka-band, 100+ Gbps, high-throughput satellite system. Planned for launch in 2012, Jupiter will have 100 times the capacity of conventional Ku-band satellites, and will enable Hughes to continue its leadership in delivering high-speed services to enterprises, government agencies, and consumers, now with over 500,000 subscribers in North America.